Admitting that you’re feeling lonely is a confession that often comes with shame. When presented with the option to be honest about your feelings or refrain from sharing and be accepted, the majority of people tend to choose acceptance. 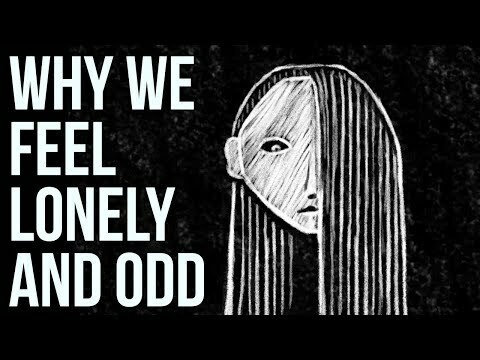 In this video The School of Life takes a deep dive into the roots of loneliness, and describes it eloquently as “the tax we have to pay to atone for a certain complexity of the mind”. When it comes to the early stages of many relationships, the desire for intimacy takes higher precedence over the desire for quality conversation. After the honeymoon stage ends, people find themselves locked in relationships with certain people they can’t communicate well enough with. Once you learn to accept your loneliness, you can get comfortable being creative and engaging fully in whatever you’re passionate about. The act of creating art in any form can give you a sense of comfort knowing that even though people might not fully understand you right now, perhaps in 200 years somebody might come across your art and understand it perfectly. The School of Life sheds light on this concept by looking at the history of art made by people who couldn’t find anyone in the vicinity to talk to. Artists throughout time have painted, sang, made music, written, and created art that may not have made sense to everyone at the time, but has found a way to resonate with people decades later. If better opportunities come along for you later in life, your periods of loneliness can help you become more capable of true intimacy and also help develop your character too. According to The School of Life, “Enduring loneliness is almost invariably better than suffering the compromises of false community. Loneliness is simply a price we may have to pay for holding on to a sincere, ambitious view of what companionship must and could be.” Switching your mindset on what it means to be lonely will pay dividends for your wellbeing in the long run.